John Ledwidge, Leicester City’s top groundsman, explains what it takes to create a Premier League pitch. 2018 marks 40 years since the first Honda lawnmower was produced. The HR21 was launched in August 1978 and received rave reviews from the industry and its many users for its fantastic performance and reliability. Today, Honda has over 28 models available in the UK, with a world-beating range of engines and features. 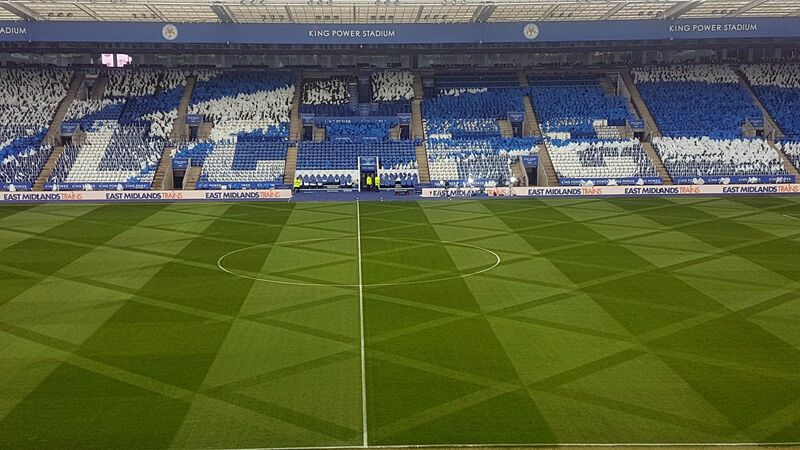 To help celebrate 40 years of Honda lawnmowers, we spoke to John Ledwidge, the grounds manager at Leicester City FC and the man behind some of the most famous pitch designs in Premier League football. As the head of a team of groundsmen who cut the pitch at Leicester up to five times a day, he knows a thing or two about lawnmowers. ENGINE ROOM: What first inspired you to become a groundsman? LEDWIDGE: When I was 13 years old I had the dream of being a footballer, like most 13-year-old kids. I just wanted to get onto the pitch where my heroes play so I wrote a letter to the groundsman of Coventry City, got a job working in the summer holidays with him, and fell in love with the job. I was a straight-A student at school but left knowing exactly what I wanted to do, which was to be a groundsman. How many times do you cut the pitch at Leicester over the week? At this time of year we’ll cut the pitch between three and five times a day. But it’s not just the pitch at the stadium; there are seven more pitches at the training facility, so it’s quite a large operation. We spend a lot of money to create consistency of pitch across the training ground and the stadium, because the players need to train on a similar pitch to what they play on at the weekend. It’s really important they have the same standard of pitch. What do you do when the match is actually on? There’s nothing we can do to the pitch, so I either catch up on a bit of work or watch the match. The rest of the ground staff will be watching the game – mostly to see what’s happening with the pitch rather than the football, which is a bit sad! Building the department here from the ground up has been a definite highlight. We’ve gone from six staff to 14 and have implemented a lot of structure. We’re also building a new training ground. But being on the pitch on match day, just before kick-off, is a privileged place to be. It’s as close as you can get to being a player without actually being a player. Being there when they come out of the tunnel, having that experience of being there in the match environment is something that we all look forward to. Everyone loves match days. Do you use Honda mowers at Leicester City? Yes, we’ve got a fleet of them. They’re the mower of choice for most Premier League clubs, not necessarily for the day-to-day cutting, but certainly using them to ‘clean up’ the pitch. After every game there will be an army of people using Honda mowers to clear up all the loose debris that’s kicked up during a game. We use the Honda 21-inch mower with the rear rollers. You’ll see them being used at most clubs. Why do you prefer Honda mowers? It’s for their efficiency and reliability. They have a well-refined engine that’s simple to work on. We have a head mechanic here and he doesn’t need to be working on them all the time. They’re not breaking down or causing us too many issues, which is important for an operation our size. Having a constant stream of mowers breaking down would set us back a lot in time and money, so that efficiency is very important. How many Honda mowers do you have? We have 18 Honda mowers in our fleet, and the mowers that aren’t Honda have Honda engines in them. They’re one of the most efficient petrol engines you can get. You use pedestrian mowers rather than the ride-ons. Why do you prefer to use ones you walk with? It’s all about the transfer of weight across the ground. The demand for pitch quality is so high at this level and we find that the finish we get with pedestrian mowers is better than the ride-ons. There’s a lot more weight put on the pitch with a ride-on than with a pedestrian machine, which doesn’t give as smooth a finish. Have you got any ideas for new pitch designs for this season? We’re not allowed. The Premier League have stopped us doing them. They wanted to get more into line with FIFA and UEFA, who are very strict on that kind of thing. It’s a shame. What’s your own lawn like at home? Awful! It’s terrible. We’re on a new estate and the lawns are slapped on whatever’s left after the house is built. I’ll have to dig the whole thing up and start again. It’s definitely not my centrepiece. Is there a secret to growing a great lawn? It’s good horticultural practice – making sure that your lawn is fed and watered well, and at the right times. And make sure it’s cut regularly when it’s growing. It’s simple: grass is a very resilient thing and it’ll reward you if you treat it right.